Share your appreciation for the support and kindness of your beloved boyfriend, girlfriend, friends, or any one who stood for you at your most difficult time. 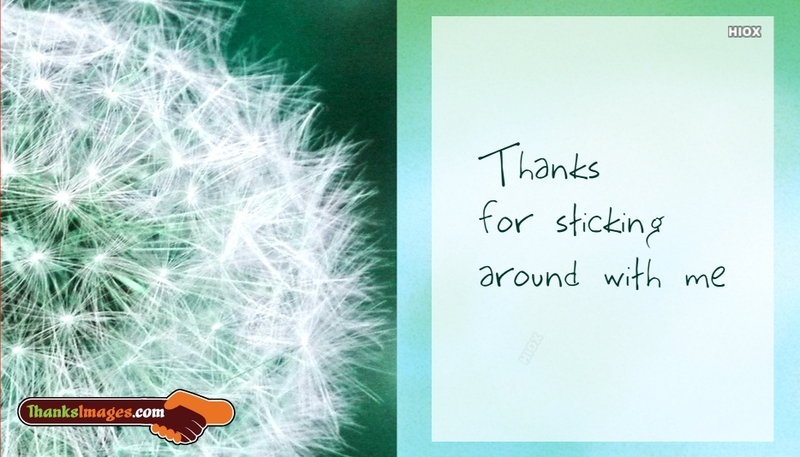 Extend your warm wishes to them with this "Thanks For Sticking Around With Me" greeting card. Download and share it for free.